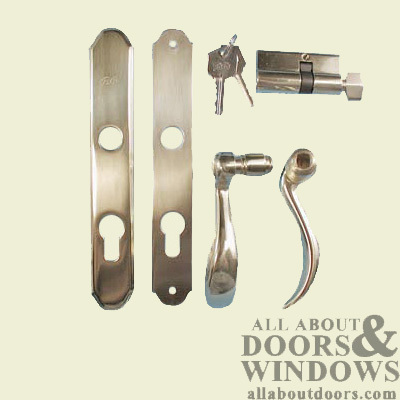 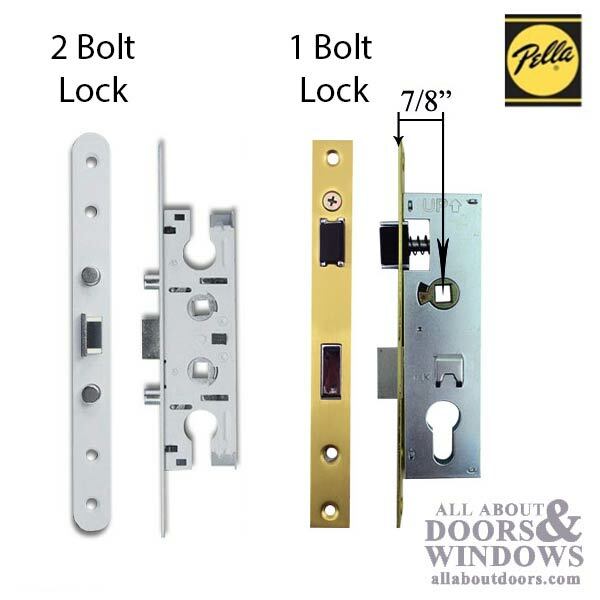 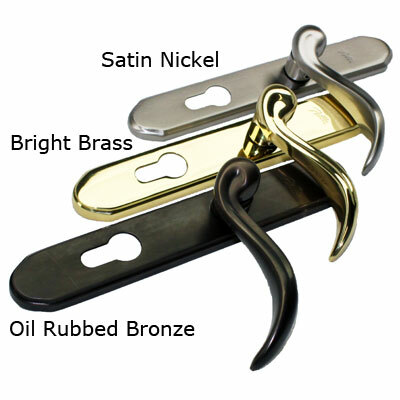 For use with Pella or Larson hardware with off center key cylinder that uses our 305013 double bolt mortise lock . 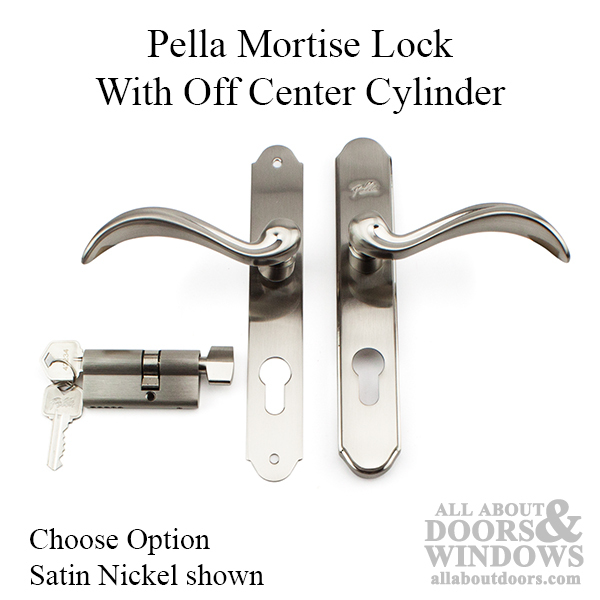 Cylinder: Single key with thumbturn, has offset (not centered) tail piece. 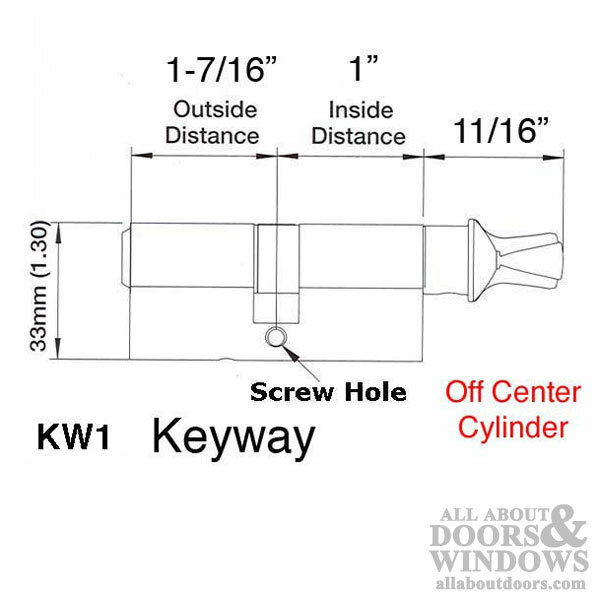 Keyway: rekeyable Kwikset KW1 keyway with 2 keys. 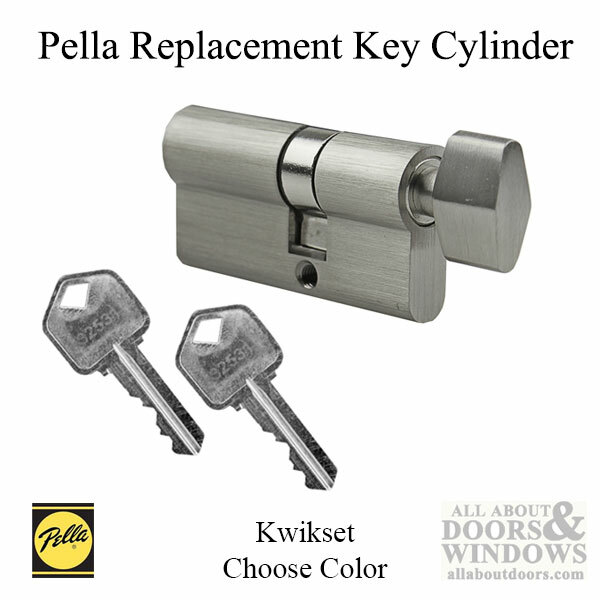 Replacement cylinder must be made by Pella. 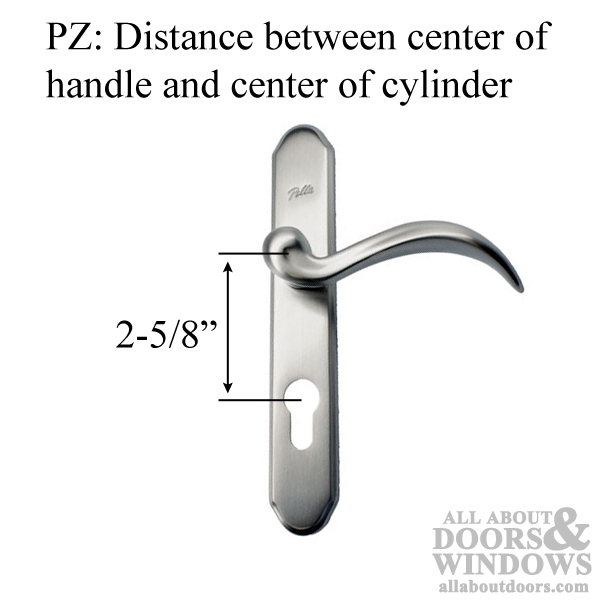 Their cylinder knob/key turns 270 degrees before the cam starts to turn. 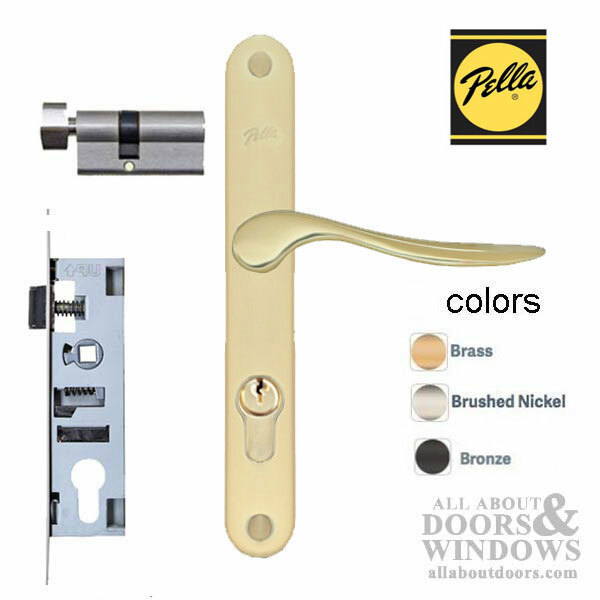 Contents: Trim only with keyed cylinder. 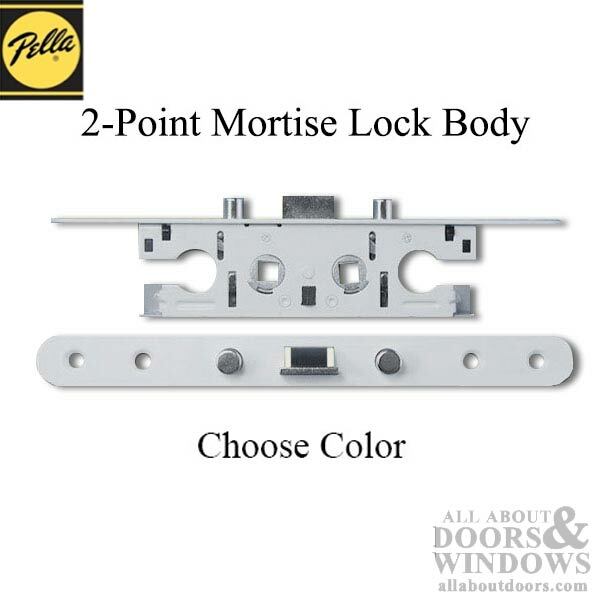 No mortise lock included.